I started vjing in late 2002 as my demoscene crew morphed into Palsecam / ITOA music project which needed visuals for concerts. from 3d-graphics based abstract loops, my style progressed towards, sample-based, quickcly cut-up symbolic images. From 2003 I played more than 200 vj performances, creating visuals from noise acts, jazz bands, pop stars, clubbing nights and commercial actions. I was resident-vj of Droga do Mekki (Wroclaw) between 2005-2006, Offside (Zabrze) between 2006-2007 and Inspiral Lounge (London) in 2008. 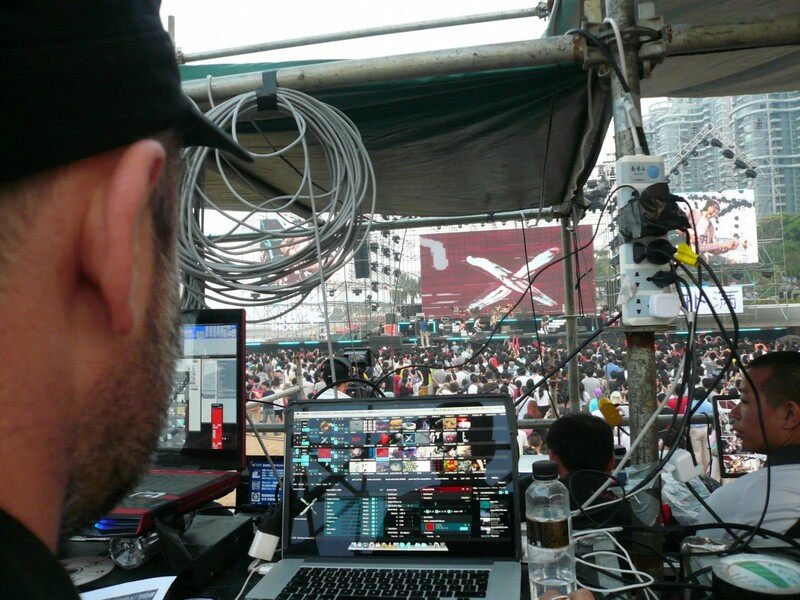 From around 2009 I rarely do conventional VJing as I focus on more completed audio visual experiences and collaborations with other people.